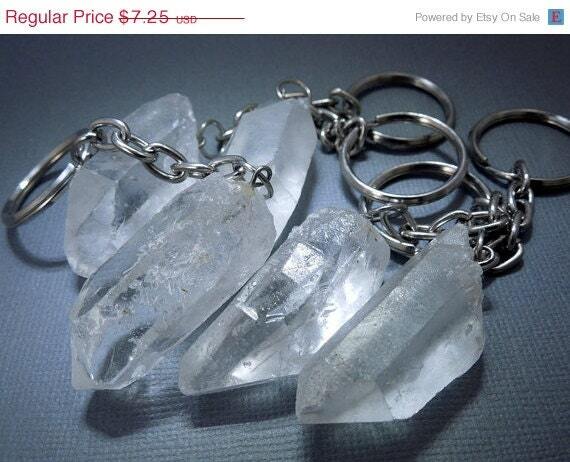 Listing is for ONE (1) crystal quartz point keychain. STOCK PHOTOS– Because these are raw and natural crystals, each keychain will vary slightly in size and appearance. AVERAGE MEASURE of citrine crystals is approx. 41mm x 18mm– sizes will vary.